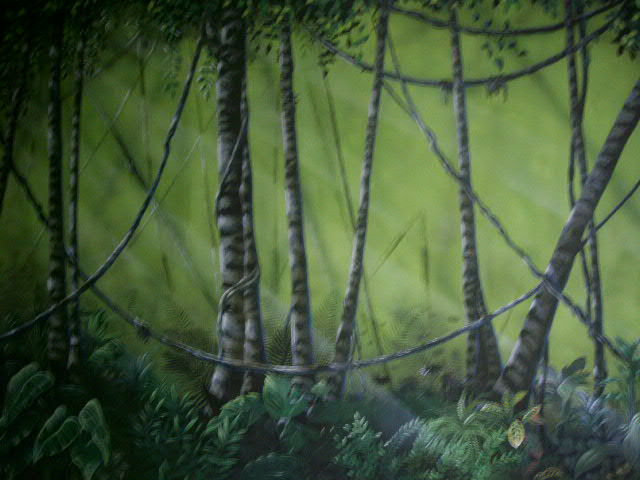 Contact me if you would like a Museum Mural. I have done murals and faux finishes in several historic homes. The largest house in which I painted murals throughout and provided multiple faux finishes was once a Hospital in Venice, Florida. My most prestigious celebrity client is Janet Jackson, for whom I created a museum mural titled “Four Winds.” The 12′ x 15′ mural is attached to the roof of the foyer in her New York home. My most prestigious sports figure client is Fred Funk, pro golfer whom I have worked on many of the paintings in his house as well as the two sculptures that now reside in his foyer. I have painted 27 Cheese burger in Paradise restaurants owned by Jimmy Buffet. Any redo or change order that incur extra time and expense. 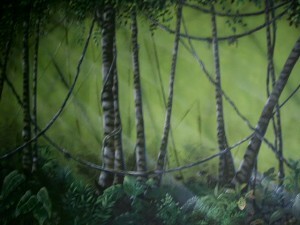 Museum murals are a luxury and not cheap, I will work with your budget. Travel is no problem I work all over the world, if you would like a no-worry professional, I am the last artist you will need for any job. Call me at 904-290-0176 or email me at chrislesleyart@yahoo.com and I can hook you up!